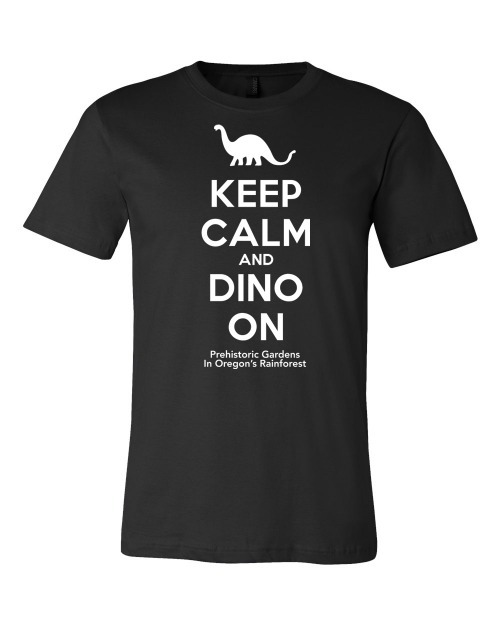 Our extremely popular “Keep Calm and Dino On” t-shirts with the Prehistoric Gardens Oregon’s Rainforest lettering below. 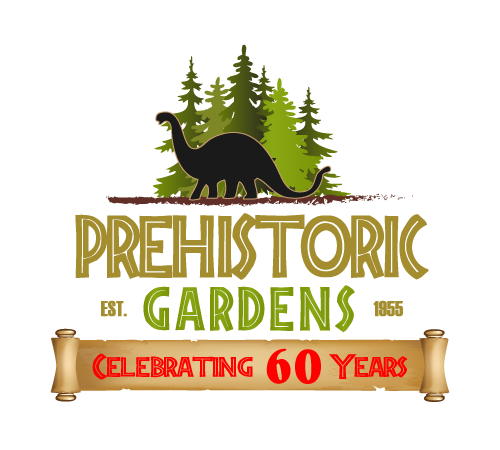 Black in color with white letters and logo. Lightweight, 100% jersery cotton t-shirt that is tailored for a custom contoured fit. 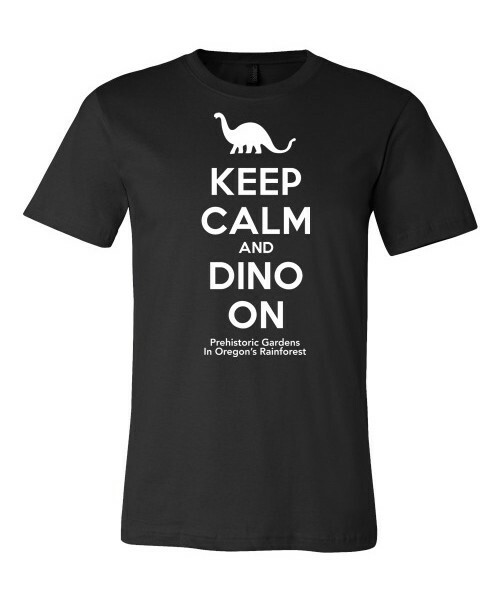 Short sleeve t-shirt is unisex; will fit both male and female.